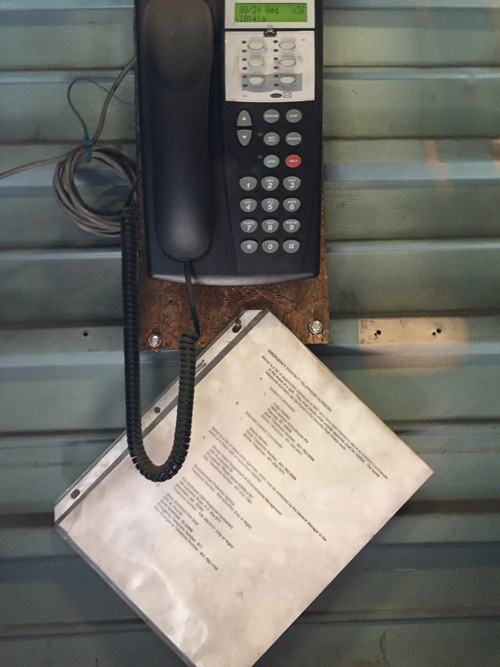 SAGE Environmental, Inc. was retained to conduct an Environmental Health & Safety audit for a trucking facility located in Johnston, Rhode Island. 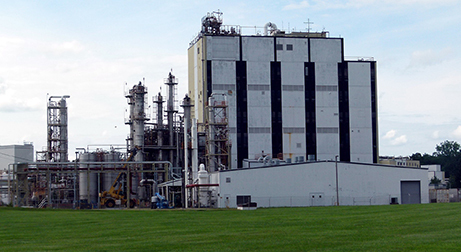 SAGE Environmental, Inc. was retained to provide onsite environmental compliance services for a large pharmaceutical manufacturing facility. 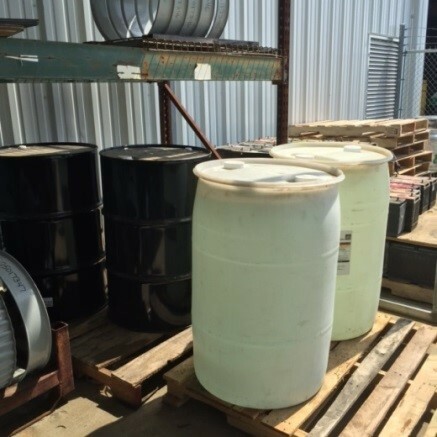 SAGE Environmental, Inc. was retained to conduct a Resource Conservation and Recovery Act (RCRA) Compliance audit for a precious metal reclamation facility in North Smithfield, Rhode Island. SAGE Environmental, Inc. was retained to conduct an Environmental Compliance audit for a facility that conducts plating of small electronics in Attleboro, Massachusetts. The property was subject to mill development dating back to the 1880’s and was used as a textile mill and dye house. SAGE was contracted to redevelop a former industrial property in East Providence. 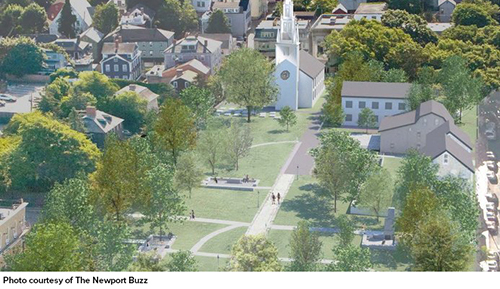 SAGE was retained to environmentally assess the Queen Anne Square public park in the heart of downtown Newport, RI. 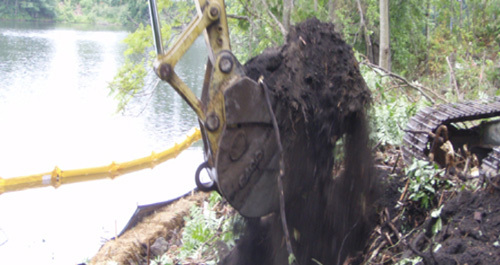 SAGE was retained to provide wetland restoration services due to unauthorized filling into and within 50 feet of a pond. SAGE was retained by Save the Bay (STB) to help them assess problems associated with an improperly designed and installed soil vapor extraction (SVE) system. SAGE was retained to assess a State Department of Transportation-owned property that previously was quarried for its rock. 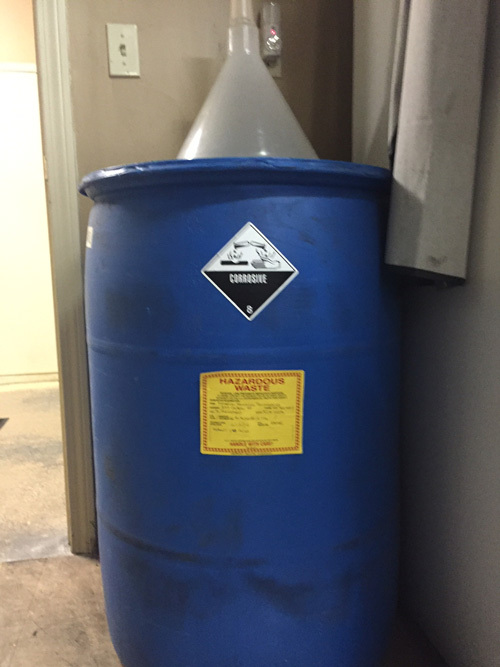 SAGE assisted owners of a hazardous waste treatment, storage and disposal facility (TSDF) located in the heart of a densely populated urban area. 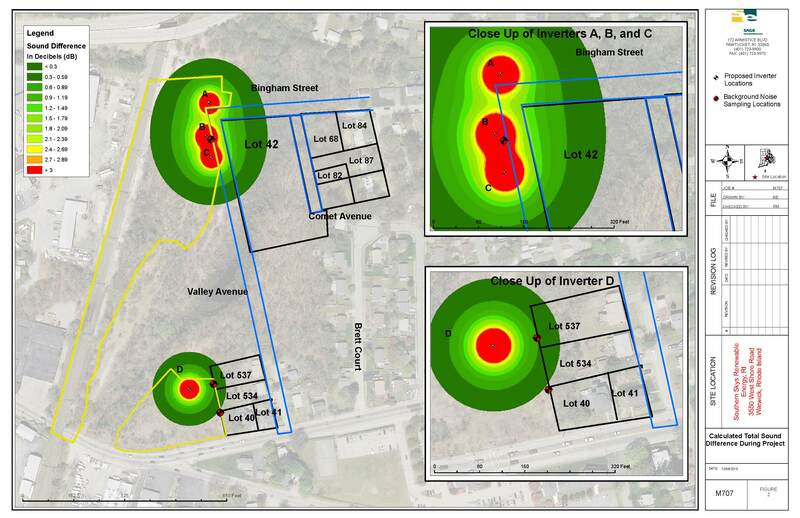 SAGE was retained to evaluate 25 years of historic environmental and remedial data associated with one of the oldest chlorinated solvent release sites in Massachusetts. 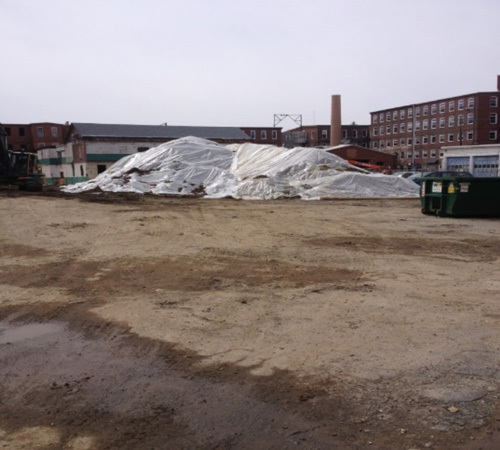 SAGE is currently overseeing the one of the largest remedial project in Massachusetts, with oversight by the MassDEP. This property was previously utilized as a bulk petroleum storage and distribution terminal from the 1920’s to 1984. SAGE Environmental Inc. was instrumental in permitting the first anaerobic digestion facility in Rhode Island for its client, Orbit Energy Rhode Island LLC (OERI). SAGE Environmental, Inc. provided environmental noise monitoring, prediction and assessment services for a 0.9 MW solar farm project in Warwick, Rhode Island on 10.57 acres. SAGE created a Health and Safety Plan (HASP) to reflect the regulatory requirements of Hazardous Waste Operations and Emergency Response. John Meyer of SAGE assisted the municipality in preparing a $200,000 EPA Brownfields Assessment Grant application for the InterRoyal Mill Site. SAGE Environmental, Inc. was retained to conduct an Environmental Health & Safety audit for a trucking facility located in Johnston, Rhode Island. The facility services heavy duty and medium duty semi-trucks, as well as sells parts for trucks and new and used trucks. The environmental compliance portion of the audit consisted of evaluating the trucking operations and facility against Environmental Protection Agency (EPA) and Rhode Island Department of Environmental Management (RIDEM) regulations for air emissions, wastewater, and hazardous and solid waste compliance. The health & safety compliance portion of the audit consisted of evaluating the trucking operations and facility against Occupational Safety and Health Administration (OSHA) and Rhode Island Department of Labor and Training (RI DLT) Occupational Safety regulations. The audit consisted of a physical site inspection of all operations at the facility, as well as an in depth review of EH&S related documentation available at the facility. The audit outcome of projects such as these, is to provide the client with any areas found to be non-compliant, as well as provide areas where improvements can be made for best management practices. As part of the services, SAGE implemented new management plans and operating procedures at the facility to ensure that the facility is consistently compliant with EH&S regulations. SAGE Environmental, Inc. was retained to provide onsite environmental compliance services for a large pharmaceutical manufacturing facility. The environmental compliance consists of evaluating the facilities operations against Environmental Protection Agency (EPA) and state regulations for air emissions, wastewater, and hazardous and solid waste compliance. SAGE provides onsite support at the facility to meet the needs of the client. Tasks include daily activities of providing environmental regulatory support to the facilities personnel which include engineers, laboratory scientists, manufacturing technicians, and facility operators. 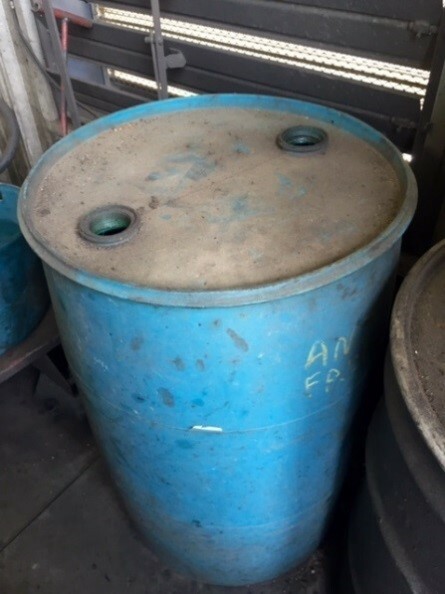 Longer term projects include a facility wide audit for Resource Conservation and Recovery Act (RCRA) compliance and developing management plans and operating procedures at the facility to ensure that the facility is consistently compliant with EH&S regulations. Examples of plans developed are: Integrated Contingency Plan, Spill and Slug Prevention Control Plan and RCRA Training Plan. 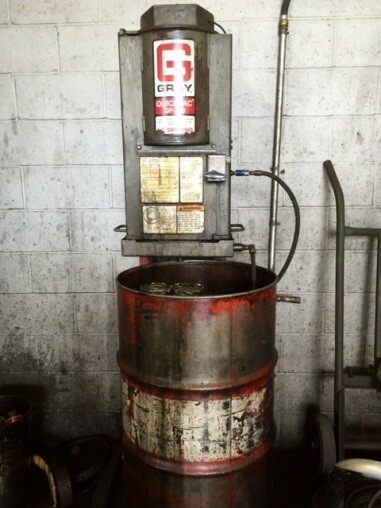 SAGE Environmental, Inc. was retained to conduct a Resource Conservation and Recovery Act (RCRA) Compliance audit for a precious metal reclamation facility in North Smithfield, Rhode Island. 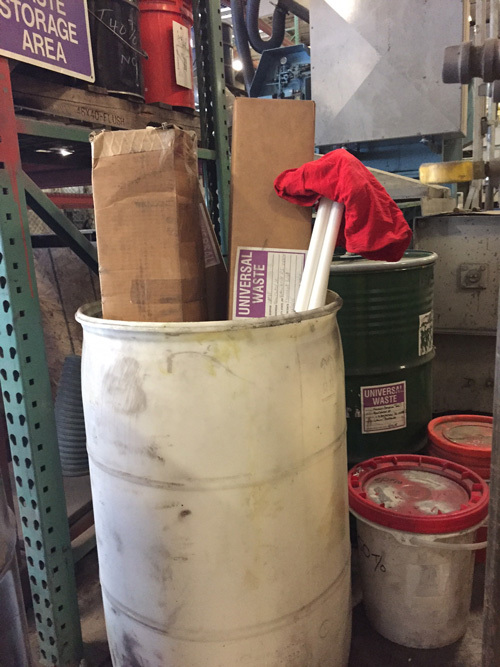 The RCRA compliance audit consisted of evaluating the facility operations against Environmental Protection Agency (EPA) and Rhode Island Department of Environmental Management (RIDEM) regulations for the proper management of hazardous and non-hazardous solid waste compliance. The audit consisted of a physical site inspection of all operations at the facility, as well as an in-depth review of RCRA related documentation. The audit outcome of projects such as these, is to provide the client with any areas found to be non-compliant, as well as provide areas where improvements can be made for best management practices. 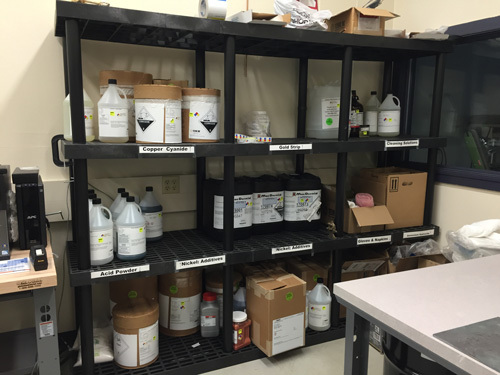 As part of the services, SAGE provides recommendations on how the facility can move forward to ensure they are consistently compliant with RCRA regulations. SAGE Environmental, Inc. was retained to conduct an Environmental Compliance audit for a facility that conducts plating of small electronics in Attleboro, Massachusetts. The environmental compliance audit consisted of evaluating the facility operations against Environmental Protection Agency (EPA) and Massachusetts Department of Environmental Protection (MassDEP) regulations for air emissions, wastewater, and hazardous and solid waste compliance. The audit consisted of a physical site inspection of all operations at the facility, as well as an in-depth review of environmental related documentation. The audit outcome of projects such as these, is to provide the client with any areas found to be non-compliant, as well as provide areas where improvements can be made for best management practices. As part of the services, SAGE provides recommendations on how the facility can move forward to ensure they are consistently compliant with environmental regulations. MCP compliance, submittals and risk assessment. 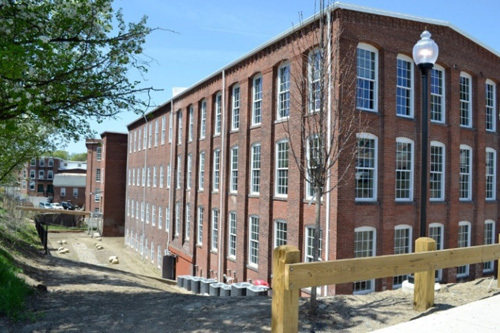 The property was subject to mill development dating back to the 1880’s and was used as a textile mill and a dye house for United Elastic Corporation prior to becoming Easthampton Dye Works in the 1960s. A release of oil and/or metals to the surface water and/or sediments of Broad Brook that occurred following a flooding event caused by frozen sprinkler system piping in 2009. 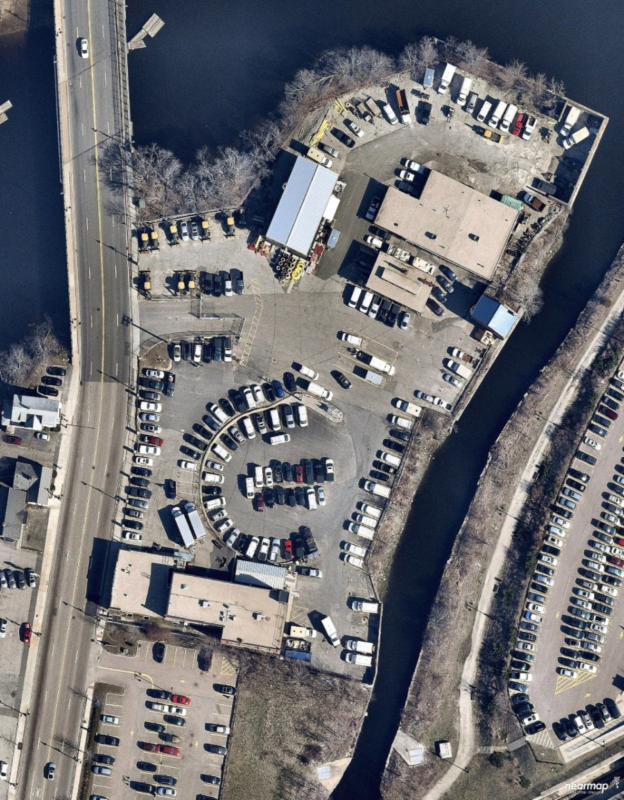 SAGE was contracted to redevelop a former industrial property in East Providence allowing compliance with the requirements of the Rhode Island Department of Environmental Management (RIDEM) Remediation Regulations. After approval from RIDEM, SAGE was able to apply and acquire a Brownfields Remediation and Economic Development Grant, making this site one of the first in the state to receive such a grant. 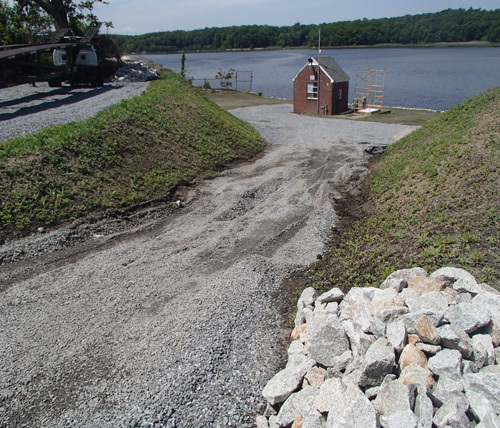 Capping along the Seekonk River and repairing the seawall where necessary. The lasting effects that the remediation and reconstruction of Phillipsdale Landing will have on the City of East Providence will not only modernize the waterfront district, but have a positive fiscal impact on a statewide level as well. SAGE was retained to environmentally assess the Queen Anne Square public park in the heart of downtown Newport in anticipation of a $3+MM improvement project. A very high-profile project, Queen Anne Square has necessitated public meeting and comment as well as an exhaustive assessment of soils and groundwater. 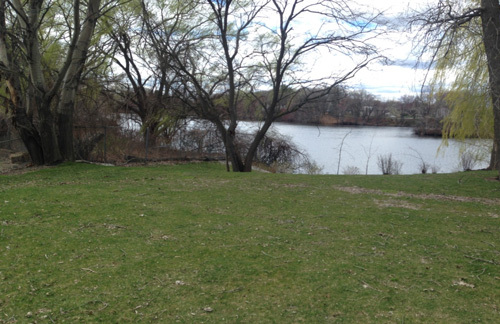 New cap designs were proposed by SAGE and approved by the Rhode Island Department of Environmental Management to facilitate the planned park improvements. 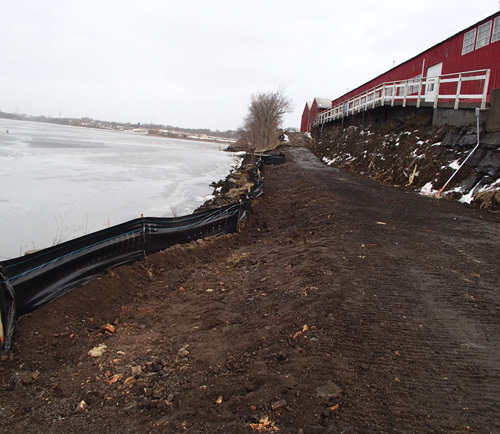 A total of 3,900 tons of objectionably-impacted soils were disposed of off-site, and several engineered barriers (i.e., soil/vegetative caps, paved foundations, tree protection areas, and hard caps) were installed across the entire Site. Opening ceremonies at the park on May 31, 2013 were attended by Governor Lincoln Chafee, Dr. Roger Mandle of the Doris Duke Monument Foundation board, and Mayor Henry F. Winthrop. 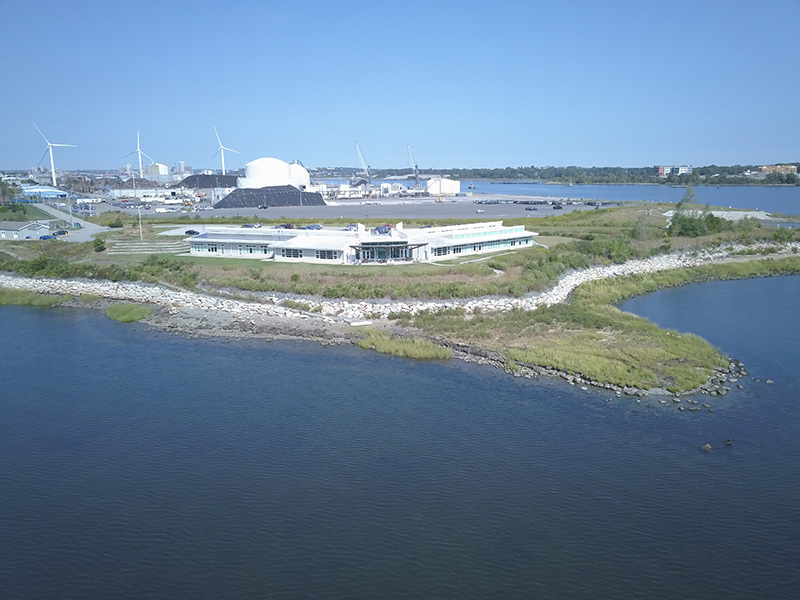 SAGE was retained by Save the Bay (STB) to help them assess problems associated with an improperly designed and installed soil vapor extraction (SVE) system at STBs new headquarters located on a former Providence harbor front landfill. Design flaws and system installation problems were assessed and corrected and a much smaller blower was employed saving STB thousands of dollars in electrical costs. The system was also corrected enabling it to run consistently and be protective of the new facility. Services provided by SAGE included operation and maintenance (O&M) of the system as well as monthly field screening of the building sub-slab monitoring points, the 12 exterior site sample locations and the boathouse effluent location associated with the Landfill Gas Extraction System and landfill gas monitoring requirements stipulated within the Rhode Island Department of Environmental Management (RIDEM) Order of Approval. 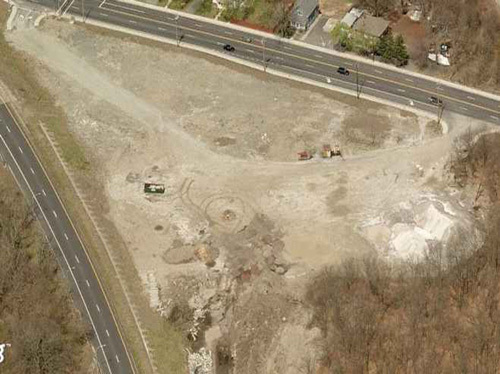 SAGE was retained to assess a State Department of Transportation-owned property that previously was quarried for its rock. The quarry later became a pond which was then used as a landfill. The 4+ acres of landfill were assessed by SAGE in anticipation of future site redevelopment with a large garage and office complex as well as a salt storage area. Groundwater and soils were assessed and found to be contaminated with volatile organics from past landfilling. Groundwater is also impacted by chlorides from salt storage at concentrations higher than those found in sea water. 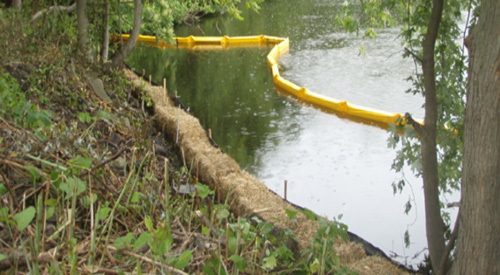 SAGE assisted in developing a remedial strategy that included compliance with the RIDEM’s Solid Waste, Hazardous Waste and Wetlands regulatory programs. An approved landfill cap and methane venting systems were implemented along with an approved cap and environmental land use restriction (ELUR). SAGE also assisted in developing specifications used for putting the overall construction project out to bid that included the remedial actions and hard costs. 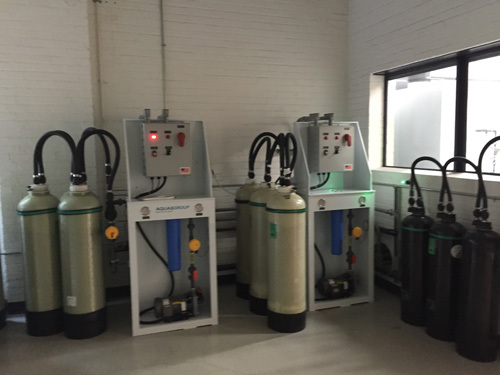 SAGE assisted owners of a hazardous waste treatment, storage and disposal facility (TSDF) located in the heart of a densely populated urban area in assessing and implementing the remediation of soils and groundwater beneath the property. The contamination beneath the property is a mixed brew of solvents, volatile organics, polychlorinated biphenyls and more. 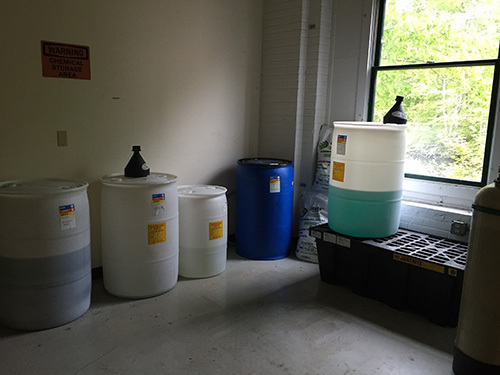 These environmental services were performed under the USEPA’s Resource Conservation and Recovery Act (RCRA) Corrective Action Program. SAGE successfully implemented an EPA-approved sub-slab venting program and assisted in maintaining the TSDF’s permit to operate as an ongoing facility. SAGE was retained to evaluate 25 years of historic environmental and remedial data associated with one of the oldest chlorinated solvent release sites in Massachusetts. Overburden and bedrock aquifers spanning a 4+ acre area have been subjected to a variety of remedial technologies by a “who’s who” of local and national environmental consultants over the past 20 years with little to no remedial benefit. In excess of $2M had been spent prior to SAGE’s involvement. After determining that contaminant plume conditions were relatively stable, SAGE assessed shallow bedrock aquifer characteristics then modified existing remedial infrastructure to enable the injection (pushing) of remedial additives while drawing (pulling) these additives through recovery wells. This modest “push/pull” approach is demonstrating for the first time on this legacy site significant remedial benefit and will be expanded throughout the footprint of the plume area and eventually allow for site closure. 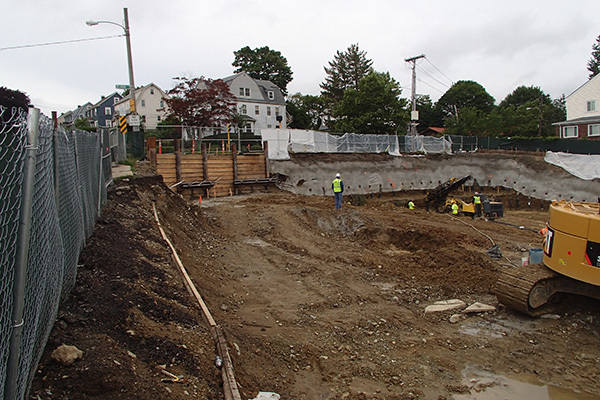 SAGE is currently overseeing the one of the largest remedial project in Massachusetts, with oversight by the MassDEP. The $60 million project being developed by Belmont Residential, LLC consists of the redevelopment of a 2-acre parcel in downtown Belmont for future commercial/residential space. 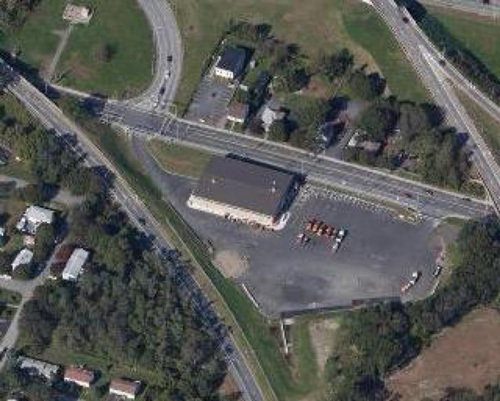 The site encompasses parcels located at 112 Trapelo Road, 495 Common Street, 102-104 Trapelo Street, 527 Common Street, and 7 Horne Road, portions of which were formerly occupied by a gasoline filling station, a dry cleaner and a greenhouse. In summary, prior release(s) of chlorinated volatile organic compounds (CVOCs), primarily in the form of tetrachloroethene (PCE) and trichloroethene (TCE), have been identified in site soils and groundwater. 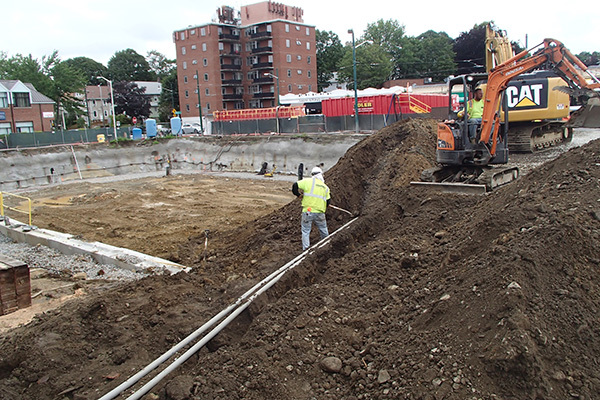 Based on available data and construction needs, approximately 39,300 cubic yards (cy) of soil will be excavated from the Property to achieve necessary redevelopment grades. Soil removal is expected to be complete in the Fall of 2017 with final development completion in Spring 2018. The implementation of a Department-approved post-remediation groundwater sampling and monitoring program. This property was previously utilized as a bulk petroleum storage and distribution terminal from the 1920’s to 1984. As the former AMOCO terminal, historical site operations consisted of the storage and handling of millions of gallons of No. 2 and No. 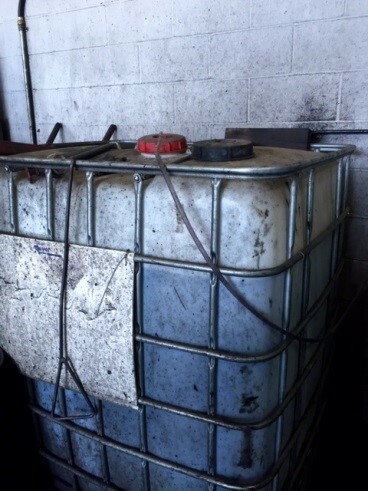 6 fuel oils, kerosene, diesel fuel, and gasoline. The site layout included 15.1 acres that at one point held aboveground storage tanks (ASTs). This site is comprised of five areas of concern, identified as: Area 1 (West Area); Area 2 (Former Loading Rack Area); Area 3 (Former Warehouse Area); Area 4 (Former Remediation Cell Area); and Area 5 (East Area). 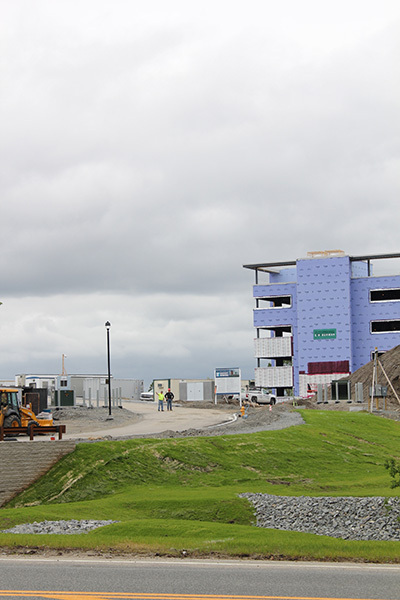 Cleanup of the Site enabled future development to occur in the form of a 90,000-square foot, state-of-the-art surgical and orthopedic rehabilitation facility for University Orthopedics and a 290-unit residential condominium/apartment complex being constructed by Churchill & Banks. 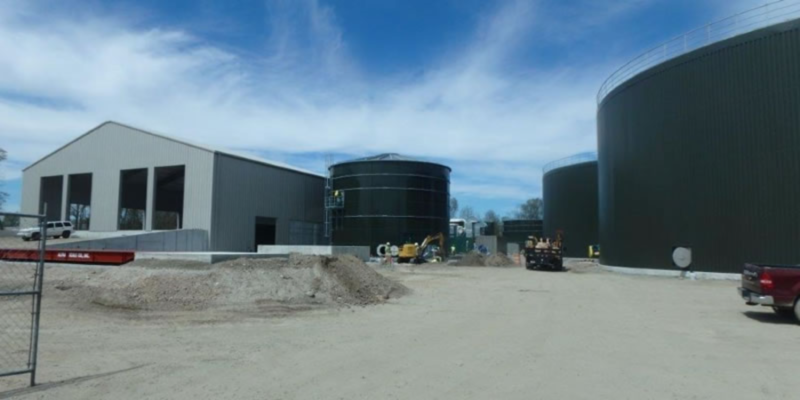 SAGE Environmental Inc. was instrumental in permitting the first anaerobic digestion facility in Rhode Island for its client, Orbit Energy Rhode Island LLC (OERI). The facility, located in Johnston, will accept organic food waste, which will be processed and will produce biogas and cogeneration of thermal and electric energy. At the initiation of the project, Rhode Island had not developed regulations related to anaerobic digestion facilities; however, during the permitting process with SAGE, the Rhode Island Department of Environmental Management’s (RIDEM’s) Office of Waste management promulgated official Rules and Regulations for Anaerobic Digestion facilities. SAGE received approval from RIDEM’s Offices of Waste Management and Air Resources to secure permits for OERI to operate, and construction is anticipated to be complete in September 2017. 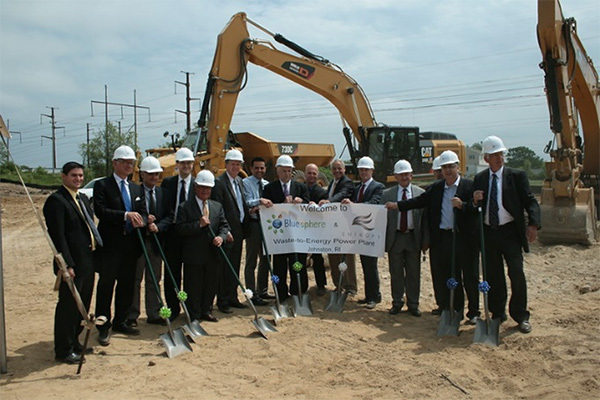 In May 2015, SAGE Principal, Rick Mandile attended the groundbreaking ceremony. If you’re curious about how this Organic Food Waste Plant would work, the equipment manufacturer and facility operator, Austep SpA, has created an overview video of the proposed anaerobic digestion plant process, which can be viewed at https://m.youtube.com/watch?v=z6sTWBYbTNY. SAGE Environmental, Inc. provided environmental noise monitoring, prediction and assessment services for a 0.9 MW solar farm project in Warwick, Rhode Island on 10.57 acres. 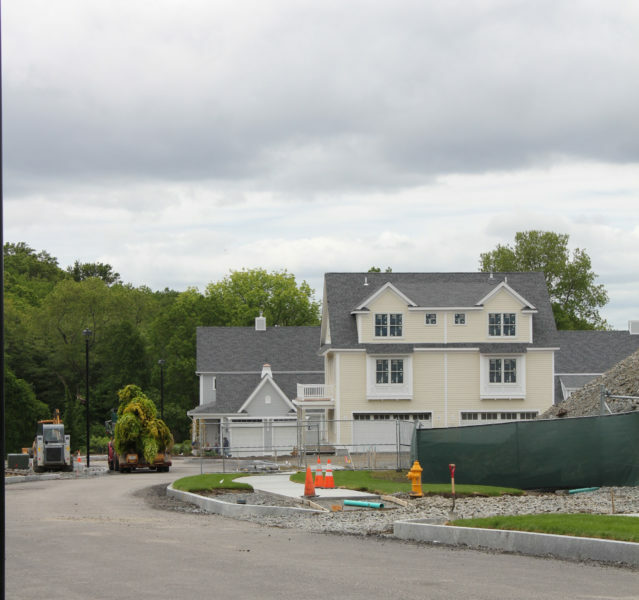 The noise assessment was provided as part of the evaluation of compliance with planning conditions by the City of Warwick’s zoning amendment. The assessment measured ambient/background noise along the property lines of abutting lots of the project location. The sound generated from the inverters was modelled and compared against ambient/ background noise to evaluate the change to noise with the addition of the solar farm project as well as the total noise generated by the solar farm. The solar project was approved by the City of Warwick in February 2017. 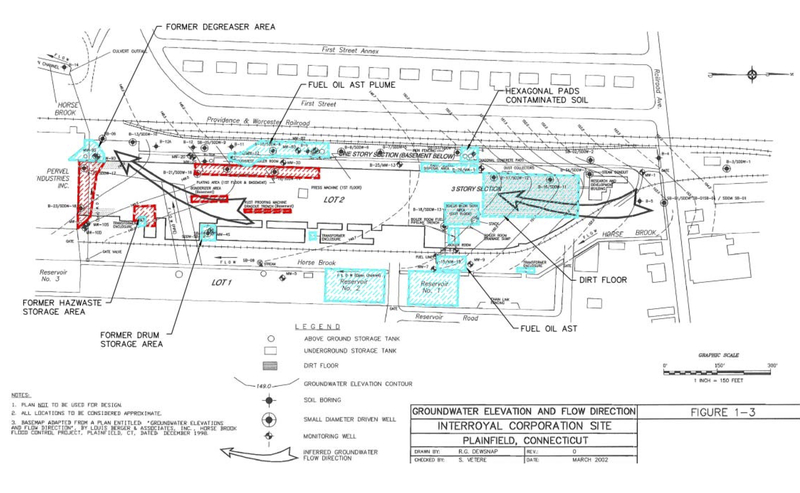 SAGE created a Health and Safety Plan (HASP) to reflect the regulatory requirements of Hazardous Waste Operations and Emergency Response, including site preparations; earthwork; soil management; and site improvements during renovations and new construction taking place at a power plant in Braintree, Massachusetts. 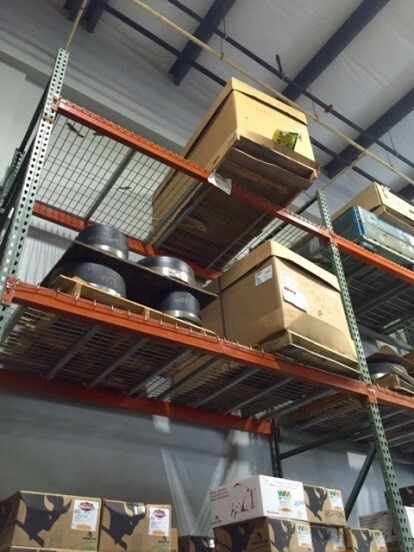 This HASP also established Standard Operating Guidelines for preventing accidents, injuring and illness; identified hazards; summarized monitoring techniques to be used; identifies appropriate first aid equipment available; and established a schedule for safety inspections. 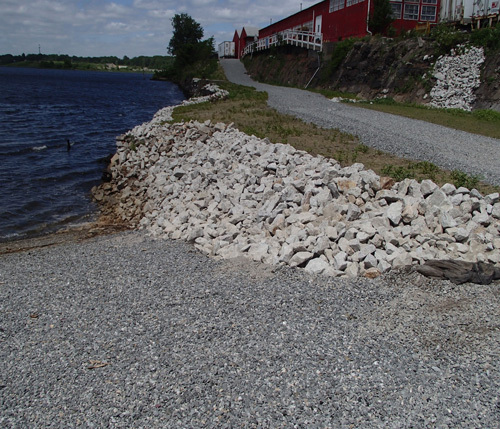 SAGE also developed a Site-specific Soil Management Plan (SMP) to accompany the HASP. This document outlined requirements and procedures to be undertaken during excavation and/or management of soil at the Property, formerly known as the Braintree Manufactured Gas Plant (MGP). 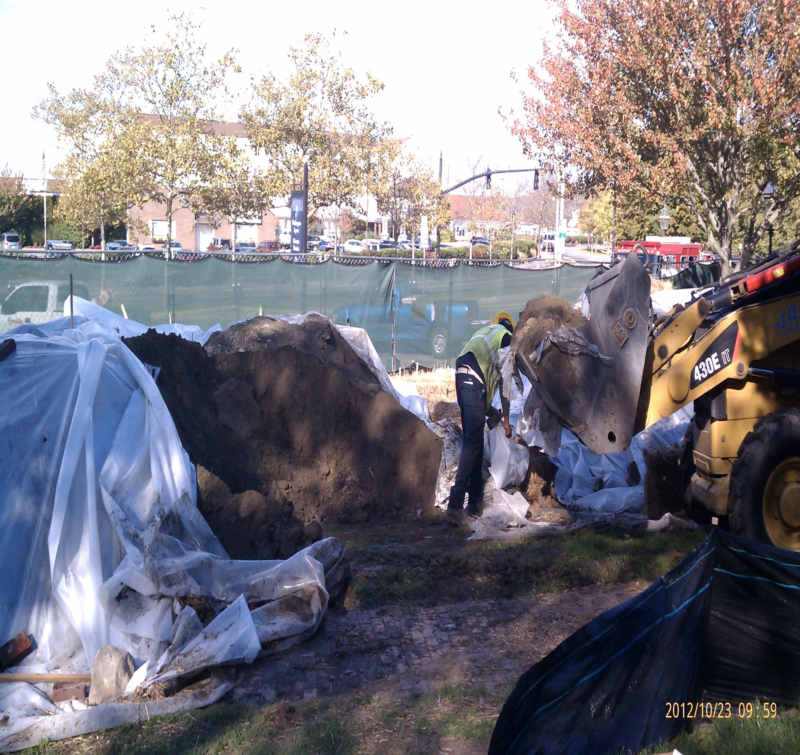 Soil excavation at this site had the potential to release vapors, odors, and particulates into the air. 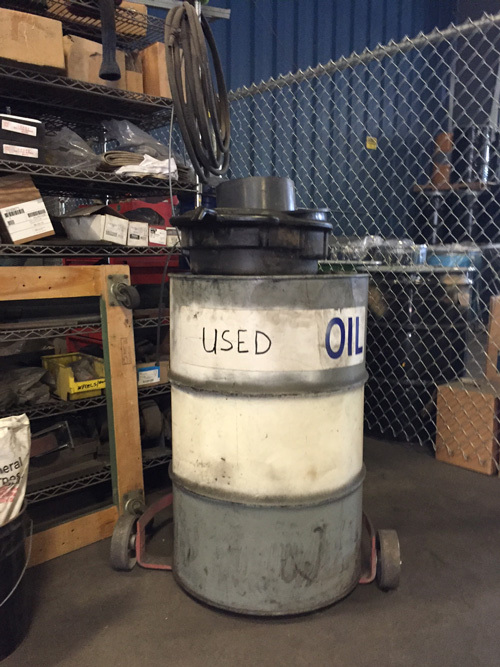 Therefore, the proper procedures for on-site management and off-site disposal were necessary to reduce the potential for exposure to oil and/or hazardous materials, and to protect workers and the public. These requirements and procedures included complying with the Activity and Use Limitation (AUL) and this SMP; coordination of this SMP with a Release Abatement Measure (RAM); retaining the services of a Licensed Site Professional (LSP) to review the proposed activity, and, if necessary, monitor work, perform sampling and testing, and prepare documentation for disposal of excess material; requiring that activities are conducted in accordance with a Site-specific HASP prepared by SAGE; excavating, stockpiling and transporting excavated soil; documenting waste disposal; and decontaminating equipment. 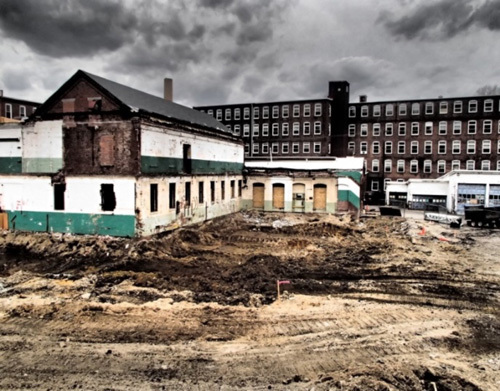 John Meyer of SAGE assisted the municipality in preparing a $200,000 EPA Brownfields Assessment Grant application for the InterRoyal Mill Site, a 16+‐acre blighted former mill complex located in the heart of the Village of Plainfield. Mr. Meyer conducted an extensive Phase I review of the Site’s history which extended back to the late 1800’s and involved a number of different industrial activities and Site reconnaissance which involves screening for asbestos, lead‐based paint and other hazardous building materials. 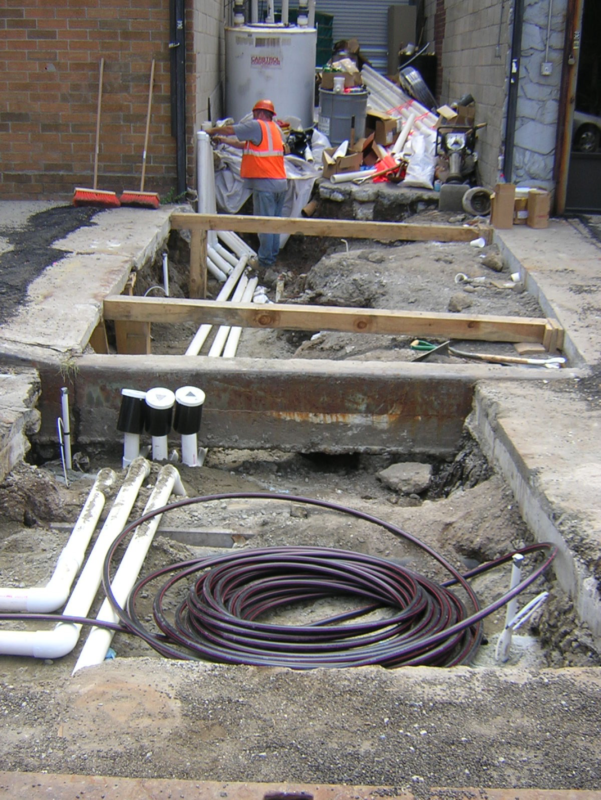 Based on the results of the Phase I investigation, a Quality Assurance Project Plan (QAPP) was prepared and approved by EPA and Phase II/Phase III investigations of hazardous building materials, soil, groundwater and sediment contamination were conducted. 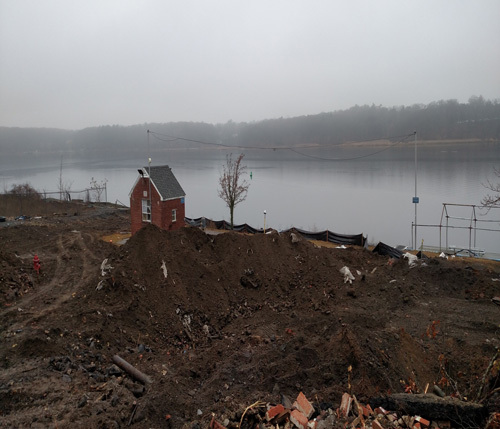 Results of the investigation were compiled into a Brownfields assessment report, RAP and Cost Estimate for abatement and demolition of existing buildings and cleanup of soil and groundwater at the site.